Soap packaging industry is growing every day. Lots of small companies are emerging with great soap products to offer. Every soap company, small or big, is trying to push their product in market with great efforts and every business wants their product to sell fast. There is no short cut in this industry that you can go over the top in few months. In order to go over the top in this industry you need to gain customer confidence and to do that, need patience and good work which includes wholesale soap boxes! Soap is a very sensitive product as if wrongly produced it can cause direct effect on consumer skin and the consequences will be very bad. This product should be produced with lots of care and with all natural contents. Chemical usage should be minimum with great natural adores. All soap products should be tested extensively before product launch and should comply with ISO & Industry Standards! Packaging plays a great role in soap industry as great packaging always generate great results. There are different kinds of soap packaging available and the selection should be thoroughly researched and backed by some good results. Most common and widely used style is the one that has tuck flaps and opens from the sides. These straight end tuck flap boxes. Soap slides in from one of the box. This style can have artwork on all four sides of the box and on the flaps as well. 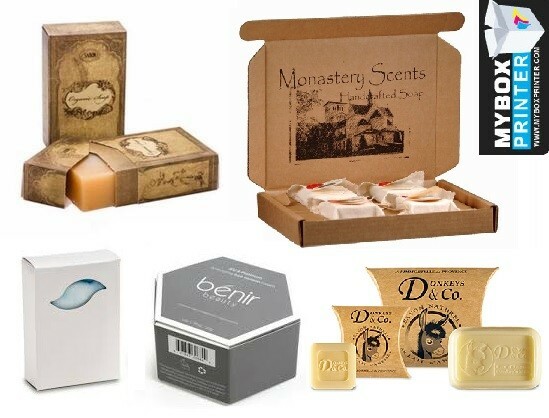 These are the most cost effective wholesale soap boxes. Start up business should look for packaging wholesalers those sell soap boxes at wholesale rate and should not source from retail vendors. Initially a test run should be ordered with your proposed artwork design and then after market test, you may have changes made according to the outcome of the test and then make a big order of packaging for wholesale soap boxes. MyBoxPrinter is a wholesale soap boxes factory located in NY & FL. We offer best prices in the market with great professional top quality soap boxes. 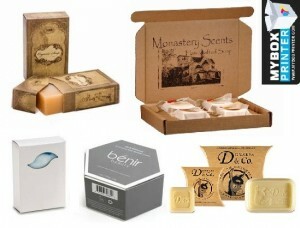 Request for a Quote now to order these boxes for your soap product!